So, the other day I was talking to some very dear friends (They’re actually like family, really), and they were telling me something my granddaughter said to them while visiting their brand new apartment (they had just moved in a few days prior to that visit). So, they said my oldest granddaughter asked where their T.V. was. The couple told her they didn’t own a T.V. and my granddaughter was completely baffled. Don’t own a T.V.? How can that be? In her house there are FIVE T.V.’s! She watches T.V. every single day and loves it! (This may be time to insert that my daughter, her three young children and I live together). Now, you may think my blog is about the dangers of watching too much T.V…..but you would be wrong. Here’s what I want to share. When my dear friends shared the story with me, I didn’t think it was cute, I actually got a little offended and immediately found the need to “defend” our T.V. owning and watching habits. I then found it necessary to try and compare our T.V. watching to their 10 year old son’s love of his iPad…discussing how often he goes on the iPad, and how long he stays on it. Really? I had to do that?? Of course, after I thought about it (say around 10:00pm!) I felt embarrassed at my response to my friends. Then I wondered…why DID it bother me? Why DID I immediately defend myself and then go on the attack? The simple truth? It’s because I didn’t want to accept the truth that maybe we do watch too much T.V. That T.V. has become too important in our house. The simple conversation my friends had with me made me feel like a bad grandparent. And, instead of considering we do watch too much T.V., I lashed out at what I disagreed with in their home practices (as far as electronic use goes). Ridiculous. The truth is, we, as people need to be OK with re-adjusting what we think is OK or acceptable. Don’t immediately go on the defensive. Receive any and all comments, corrections, or observations (whether given in complete innocence OR NOT). Then take them to the Lord. Look inside yourself and ask if there is something that needs to be adjusted. The Lord will reveal the truth to you if you just take time to consider and ask. Believe me, this is a much better way to live life. So, the next time someone makes a comment or simply relays a story to me, I’m thinking I may handle it differently! 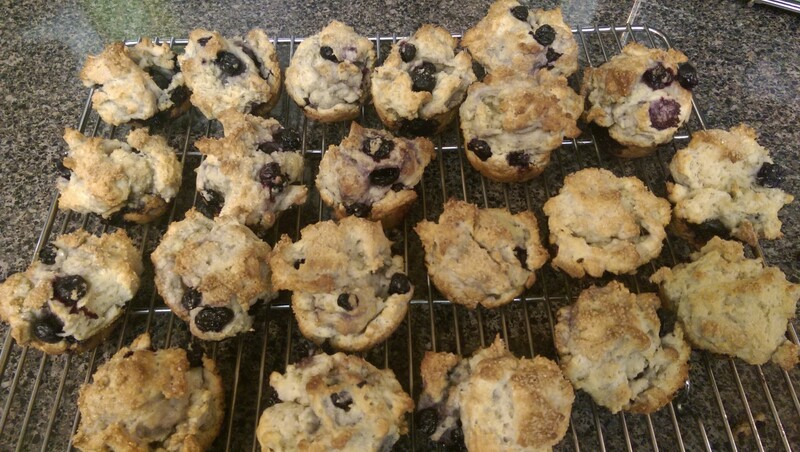 Oh, and by the way, just last night, INSTEAD of watching T.V., me and the grandchildren made delicious blueberry muffins from scratch! Score one for Grammy!